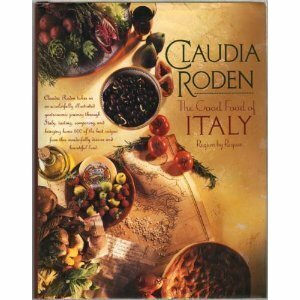 – Claudia Roden’s The Good Food Of Italy: Region By Region has only one review at Amazon.com, but it’s a five-star one. Used copies retail for over $11, which suggests people are in no hurry to get rid of them. The book was published in 1990 but this copy is brand new, I doubt anyone even leafed through it. I’m glad that I could get to it first, before the book sellers took it. I have wanted a book on regional Italian cuisine for a while, and given that I’ve started to explore the “E’s” in my international cooking project, I’ll be cooking the food from Emilia-Romana very soon. – Hungarian Cuisine: A Gourmet’s Guide looks also brand new, though its pages have started to yellow. It’d be nice if I could reach the “Hs” this year. – Swedish Smorgasbord and Hundreds of Favorite Recipes is a spiral-bound booklet published by the Friendship Evangelical Lutheran Church of Pittsburgh in 1949. I’ll never get to the “Ss” and this book seems to have a lot of non-Swedish recipes, but it’s still cool to have it. In other book news, I’m planning to get rid of A Taste of Florida: The Best of “Thought You’d Never Ask, because I didn’t find any recipe there that I wanted to make and most of them are not Floridian anyway (rather, recipes from all sorts of restaurants in Florida). Clearly I’m not the only one unimpressed by the book as it retails used for 1-cent in Amazon.com (though with shipping it’s $4). But if you are near San Leandro and you want it, you can come and get it. – How To Cook Everything: Simple Recipes for Great Food . Another book that doesn’t seem to have been used by its previous owner. Understandable, this is the type of book a beginner cook would gravitate towards, and then realize they don’t want to cook after all. – A Taste of Provence: Classic Recipes from the South of France . I’ll never get to the “Ps” on my international food project, but I can hope. – Flavours of Hungary . I do have a chance of one day reaching the “Hs”, I believe. – Art of Lithuanian Cooking . And if I reach the “Hs”, why not the “Ls”? Plus I had a dear friend in college whose parents were Lithuanian. Dahlia, if you ever see this blog posting, e-mail me!. 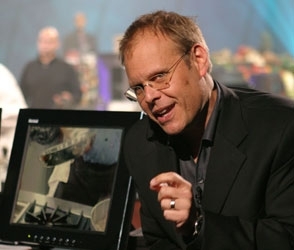 AP reports that famed TV chef Alton Brown wants his new cookbook to be a multi-media e-book. The “book” will contain 25 recipes and will include text, photos and video of Brown making the recipe. The video will be shot by 40 cameras, from different angles, so that cooks can see him doing his thing anyway they want. They’ll also be able to pan in and stop the “action”. Personally, I couldn’t be less interesting. I only watch food shows when I’m cooking or cleaning the kitchen, and can’t remember a time when I actually made what they featured (which is not to say that I don’t cook from cookbooks by TV chefs). From time to time, when I’m not sure about how to do something new (like using banana leaves), I may look at a YouTube video demonstrating that technique, but not just for recipes. Now, I wouldn’t be against a recipe e-book altogether, but it would have to fulfill three requirements: 1, be affordable, 2 have a lot of well-reviewed, difficult to find recipes and 3, those recipes should be easy to print. You see, I cook a lot from epicurious.com and other internet sites, and while I have a few small computers and an i-phone that I could use in the kitchen to access those recipes, I really don’t want any personal electronics anywhere near my dirty hands while I’m cooking. My cookbooks and printed recipes get dirty enough as it is. Also, there are soooo many recipes that I can find online for free, that the recipes would have to be very special for me to pay for them. But this is not to say the e-book won’t be successful. I imagine Brown will be targeting beginner cooks who need a lot of hand-holding – either that or he’ll be demonstrating recipes that require special techniques. And there are lots of visual learners out there, and a lot of people who get confused following recipes. I just hope that Brown won’t start a trend and that paper cookbooks will continue. I didn’t grow up knowing how to cook. Both of my parents worked and my mom specialized in making “minutas”, meals that can be thrown together in minutes: steaks, milanesas, gnocchi, soups from bullion cubes. Once I lived on my own, I didn’t even think about cooking beyond these very basic things but once I got married I found myself with lots of free time while I looked for a job and a desire to “feed” my husband. I didn’t know how to cook much, so I hit the library for cookbooks. One of the first cooks I discovered was The Frugal Gourmet on Our Immigrant Ancestors: Recipes You Should Have Gotten from Your Grandmother . I already knew the Frugal Gourmet from TV and the idea of cooking food from different countries intrigued me – Mike and I had gotten a guide to ethnic restaurants in the Bay Area when we were courting, and we had been expanding our culinary tastes. This booked seemed perfect for doing the same at home. And so we did and in the process discovered many wonderful recipes. I haven’t actually cooked from this book in many years, but it came to mind today while writing about Cuban food (I got the best recipe for ropa vieja from this book) and I thought I’d share the book with whoever reads my blog. Now, one of the reasons why I really recommend this book is that the recipes are easy. These are home recipes, made by home cooks with no training over generations and passed from parents to children. Immigrants were usually poor, so the recipes don’t usually require expensive ingredients or cooking equipment. They are ideal recipes for beginners and anyone looking for a simple intro into a new cuisine. They are all in pretty good shape, and I’m quite happy. Though I love to write about my experiences with food, I’m not much of a reader of food writing. I use cookbooks mostly for recipes (though some, like Anthony Bourdain’s Les Halles Cookbook are so much fun that even I cannot resist them), barely page through cooking magazines, and cannot make myself follow any food blogs. I’m just not a food reader, what can I say? It’s probably for that reason that I did not fall in love with Food & Wine magazine when I started receiving it. It contains lots of long articles about things I care very little about, it has an altogether “posh/foodie” sort of feeling (so very 2005) and I can never find any recipes I want to make. I got the July issue today and I was just about to write lambasting it when, to my great surprise, I actually found some articles I wanted to read (e.g., one on the guy who won Top Chef). First time, I think. Still, one good issue will not make me renew my subscription. What am I doing here “reviewing” a cookbook that is over a decade old? Well, this is not really a review but a recommendation. Casas’Delicioso! The Regional Cooking of Spain is one of my favorite cookbooks – in part because I cook a lot of regional cuisines, including Spanish regional cuisines, and in part because, in general, the recipes in the cookbook are not only genuine but also quite good. The book contains a variety of tapas recipes – and then chapters on the cuisine of individual regions of Spain. There is abundant information about what characterizes each regional cuisine, as well as several recipes. Many of them originate in regional restaurants, but have been adapted for the home cook. In all, one of my favorite cookbooks. I hesitated in buying this cookbook as it’ll be many years before I get to the “S” cuisines, but you never know when I’ll want to celebrate some Scottish festival. I’m not particularly big on food writing, but I thought I’d give this one a try, specially as it could give me ideas of dishes to try. I went to A16 many years ago, when it first opened. It was pretty good, though I disliked the burnt crust of my pizza and there were some service problems ( you can read my full review). There was one wonderful pork dish, which I’m hoping to recreate sometime soon. I started cooking from the A16: Food + Wine cookbook, however, by making the Short Ribs alla Genovese. I chose that recipe because short ribs were on sale and I love short ribs. The results were, as expected, very good (I’ve seldom have had braised short ribs that were not good) – though this wasn’t necessarily the best short rib recipe I’ve made. Aegea, a picky 5 yo good friend of my kids, really liked them and I think she ate at least 3 short ribs by herself! (I’m always glad when I can make something little kids will eat). That said, I’d probably not make them again, but just because I’m still searching for the perfect short rib recipe (and there are many, many to try). This is a perfectly good one, however. I should note, because the book notes, that despite the name this dish does not come from Genoa. It’s Neapolitan instead, and predates the arrival of tomatoes in the region – with onions taking center stage instead. One different ingredient that shows up in this recipe is an anchovy. I put it, but I wonder how much of a difference it made. Probably not enough to justify having to buy a whole anchovy tin (unless, of course, you’ll consume the rest of the anchovies). I followed the recipe pretty closely, I did only use 3 (rather than 4) red onions, more wouldn’t have fit into my pan. I also used dried rosemary rather than 1 sprig of rosemary, as I didn’t want to pay $2 for a package of fresh rosemary only to use 1 spring. Anyway, here is the recipe. A16’s Monday Meatballs have (or did) become pretty famous among the crowd of the Craigslist food forum, where I often hang out. Still, they are quite laborious to make, so I hadn’t tried them. Having the book on hand gave me the opportunity to finally pay them homage, so I made them last Sunday. They were easier to make than I thought (though still laborious, mostly because you need to grind your own meat & breadcrumbs) and they have an amazing texture. There is a perfect balance between the meat, the bread and the other ingredients, so that the meatballs are light, but still substantial. Apparently the secret is having a greater bread-to-meat ratio – American meatballs tend to be heavier in the latter – but I’m sure the extra elements, like the ricotta, helped lighten them up as well. As much as I liked the texture, I wasn’t crazy about the taste. In sum: they were too salty. I used 1 Tbsp. of salt like the recipe required, and while I could taste some hints of herbs and other flavors in the meatballs, most of what I did taste was salt. So be forewarned, if you make them – start by adding just 1 tsp. of salt, and add more salt only after cooking a sample and tasting it. I followed the recipe for the meatballs pretty closely, but I did make some necessary changes. I decreased the chili flakes to 1/2 tsp, from the 1 tsp the recipe asked for – and the meatballs were still too salty for my daughters (which dined on steamed broccoli instead!). I also ended up using regular parsley instead of Italian parsley – because I stupidly didn’t specify in my shopping list, so my husband bought what he thought I wanted – and I didn’t use San Marzano tomatoes for the sauce. My days of shopping all over town for special ingredients are pretty much over, if my local Safeway doesn’t carry a product, chances are I’ll have to substitute – so I used regular whole tomatoes with basil. For that reason, and the fact that basil is over $2 a bunch, I also skipped the basil leaves from the sauce. 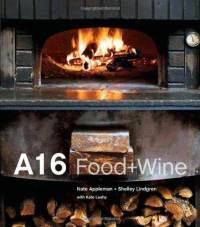 To tell you the truth, I thought the sauce was pretty good as it was – though I’m sure it’d be better the A16 way. Finally, I didn’t have grana cheese at home, so I used Peccorino-Romano cheese instead. Below you can find the recipe as I made it, with recommendations on how to improve it in parenthesis. On a final note, as you’ll the recipe calls for 10 oz of ground pork shoulder and beef chuck each. A butcher may sell you 10oz of those meats, but Safeway does not – so plan to buy a larger quantity of each (I got about 4lbs) and then use them in other meals. I made a braised beef with the beef, and A16’s braised pork shoulder with the pork. Take one anchovy, rise it under running water and then let it stand in water for a couple of minutes. Then chop it finely. Set aside. Trim excessive fat from the short ribs. Season with kosher salt, cover and refrigerate overnight. Heat 2 Tbsp olive oil over medium-high heat, in a wide, heavy, oven-safe pot. Add the ribs, making sure they are not crowded, and brown on all sides – you may need to do this in two batches. Remove from the pot and set aside. Meanwhile, put the wine into a small pot and reduce in high heat until it’s about 1/2 cup. Set aside. Add 2 Tbsp of olive oil to the wide pan and heat over medium-low heat. Add the chopped carrot and celery and cook until the vegetables start to often, about 5 minutes, stirring frequently. Add the chopped anchovy, garlic cloves and peppercorns and cook until the garlic softens, about 3 minutes. Add the onions and a pinch of salt and cook until the onions soften, stirring frequently, about 5-10 more minutes. Stir in the vinegar and wine and remove from the heat. Return the ribs to the pan and sprinkle with rosemary. Cover (use aluminum foil if your pan doesn’t have a cover), put in the oven, and braise for 2 1/2 hours, or until the short ribs are soft. To serve, transfer the short ribs to a serving plate, cover with sauce and drizzle with some olive oil. Cut bread into small chunks and put into a food processor, process until finely ground. Put into a large bowl. Trim excess fat from the pork shoulder. Put prosciutto and 2 oz of pork fat in the freezer for 15 minutes. Meanwhile, cut 10 oz of trimmed pork shoulder into 1″ cubes and put them in the food processor*. Process until finely chopped. Add to the bowl with the bread crumbs. Cut the beef chuck into 1″ cubes, and similarly process in the food processor. Put in bowl. Cut pork fat into chunks, process in the food processor and put in bowl. Do the same with the prosciutto. Add the parsley, 1 tsp. of salt, oregano, fennel seeds and chile flakes to the bow. Mix with your hands until all ingredients are combined. Set aside. In a separate small bowl, lightly whisk the eggs. Add the ricotta and milk, and whisk lightly until the ingredients are combined. Add the ricotta mix to the meat mix and combine with your hands. Heat a small skillet (oil if necessary) and take a pinch of meat mixture, flatten and cooked in both sides until cook through. Taste and adjust seasonings. Coat a large rimmed baking sheet with olive oil. Form 1 1/2″ meatballs and place them in the baking sheet. Bake until browned, 15-20 minutes, rotating the baking sheet once. Remove from the oven and lower the oven temperature to 300F. Pour the canned tomatoes into a large bowl and sprinkle 2 tsp of salt. With your hands**, break the tomatoes into small pieces. Transfer the meatballs into a medium-size baking pan, packing them in. Pour the sauce over the meatballs, cover with aluminum foil and bake in the oven for 1 to 1 1/2 hours, or until the meatballs are tender. Remove from the oven and, if using basil, distribute the basil leaves throughout the sauce. Before serving, grate cheese over the meatballs and drizzle with olive oil. *You can also use a meat grinder, in which case you can grind the meats and bread crumbs together. The last entree that I cooked from the A16 cookbook was Braised Pork Shoulder with Olives – an adapted version from A16’s “Braised Pork shoulder with chestnuts, olives and herbs”. Alas, I didn’t use chestnuts in my recipe, and instead of fresh springs of sage (4) and marjoram (2), I used herbs de provence – I was too cheap to buy the fresh herbs (I had the required rosemary leftover from another recipe), and didn’t have any dried marjoram, even though I thought I did. While this pork wasn’t as good as the one we ate at A16 many years ago (I rave and rave about it in the review), it was very tasty. Mike, in particular, really liked it – and he doesn’t usually like olives. The pork was super tender and very flavorful. The only problem was that it was too salty (this may be a general issue with A16’s recipes, it’s the second time I encounter this issue), when you make it use the amount of salt I recommend in the recipe below. I had to return to the book to the library before I finished typing up this recipe, at this point, two and a half years later, I don’t think I’ll be getting it back.